HK's Fusion Keto Curry - Headbanger's Kitchen - Keto All The Way! 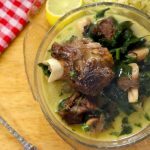 I’ve been cooking up Keto curry for a while now. 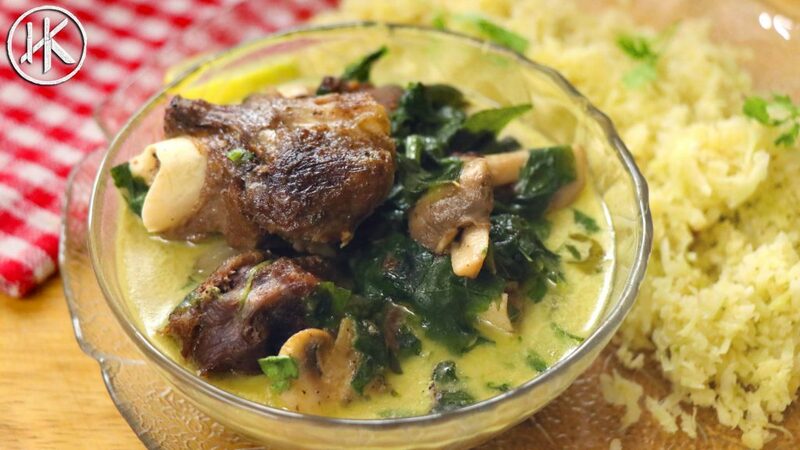 In fact, I did a curry week last year on the show and covered everything from a Keto pork Vindaloo to a Thai Massaman curry. Today I’m marrying two of my favourite curries, a Sindhi style mutton curry and a Kerala style mutton stew. I will also be using some technique from the Kerala beef fry recipe that I did recently. For my recipe I’m going to be using the spices from the Sindhi style curry (I’m Sindhi btw) and using the coconut milk base from the Kerala style stew (my wife is Mallu btw). So it’s just like my wife and I getting married, in the form of food. At least that’s how I’m thinking of it. As always if you can’t find mutton (goat meat) where you live then lamb, beef, chicken, fish, pork etc are all good alternatives. I said it in the video as well there is nothing that’s ‘Indian’ as such. Every part of the country is unique and has it’s own culture, language and food. If you look to the Northern part that’s where you butter chicken and kebabs and rich dairy laden food is eaten, in the South you find more rice based dishes and lighter coconut milk flavoured curries, in the North east it’s a lot of pork and around the coastal regions a wide variety of seafood. To me India is more like Europe. Even though people try and pass Hindi off as our national language, it’s not, every state has it’s own language and you’ll find yourself sorely lost trying to speak Hindi in South India or if you came to Maharashtra and tried to speak Bengali. You get the idea. So for this recipe I tried to be my creative best. However the true test is when you cook this yourself and let me know if it was good enough. Enjoy! Start by pressure cooking the mutton with salt, pepper and water for 20-25 minutes or till tender. Once done set the mutton aside and strain and keep the liquid from the pressure cooker aside. Heat the fat in the pan and once hot add in the spice mix and curry leaves and fry till the curry leaves are crispy. Add in the mutton and onions and fry together. Make sure the mutton and onions get well coated with the spice mix. Then in go the mushrooms and sautee them along with everything else after which in goes the spinach. You can cover it with a lid for 2 minutes to let the spinach wilt. Then add in the mutton stock that you saved from earlier and then give everything a good mix and cook for about 5 minutes. Add in the coconut milk and once again allow it to cook for a bit and reduce to the consistency and taste that you like. To thicken the sauce you can add 1/4 tsp of Xanthan gum. Once it's reduced down to your liking, turn off the heat and finish with fresh coriander.